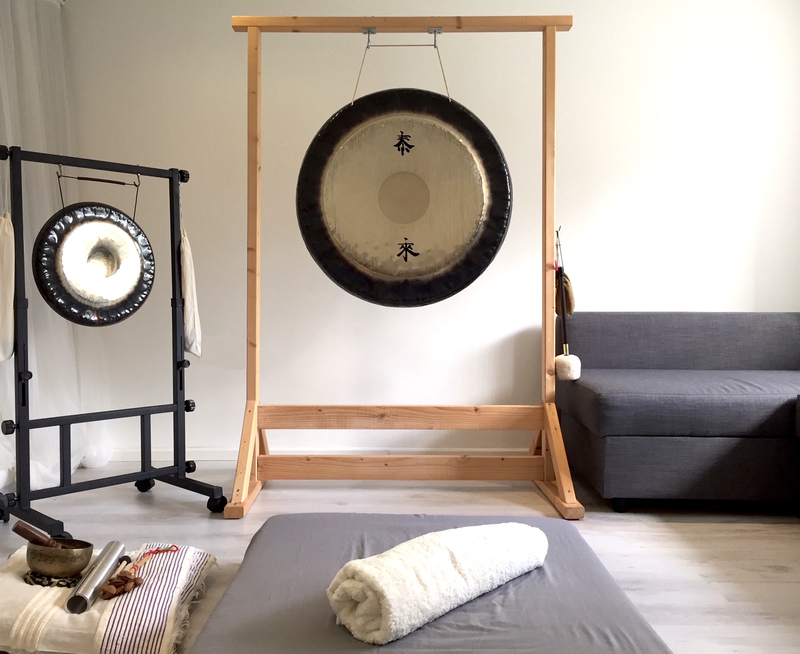 Gong bath is a kind of sound therapy which enables you to experience a meditative journey while the gongs, and usually with some other musical instruments, are played. You will be bathed in the healing frequency of the gong to enter deep relaxation and to bring back harmony and balance to your mind and body. What to expect in a Gong Bath? You may choose a comfortable position to either sit or lie down. I will then guide you to close your eyes and to relax and start playing the instruments. I mainly use a 32″ Symphonic gong and sometimes incorporate other instruments like a Tibetan Singing Bowl and rattle etc. Therefore you will experience different sound during a Gong Bath, sometimes with the birds singing too! The gong and other instruments such as the singing bowl stimulate the alpha and theta brainwave frequency. Our brain has alpha waves when we are relaxed and awake – the meditation state. The theta waves will be present when we are dreaming and also in deep meditation. Therefore, just like meditation, we can achieve inner peace and balance our body and mind through a gong bath.